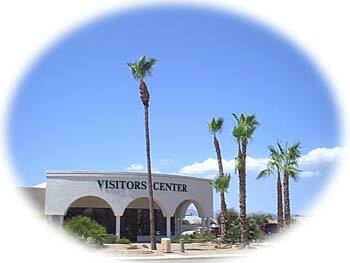 In 1978, John Meeker, president of the Del E. Webb Development Company, who first master-planned a community for active adults in Sun City, looked at the desolate desert two miles to the west and visioned a new, larger community with facilities unmatched elsewhere. At its core, an "Emerald Valley" would be the focal point as the "largest golf course development project in Arizona history got underway". Adjacent to it would be a recreation center, "the largest private facility for recreational and creative activities in Arizona." In less than a quarter century the desert yielded to Meeker's vision. By 1997, 31,000 people had come from the 50 states, Canada and other countries to make Sun City West their home. Most visited other developments but found that Sun City West offered variety and value found nowhere else. In addition to unsurpassed resort amenities, Sun City West offers every-day conveniences that make life more complete: library, shopping, banks, restaurants, places of worship, health care and more. All easily accessible by bike, golf cart, or auto. Sun City West recreational facilities have an estimated value of more than $150,000,000, and are available only to residents and their guests. These include seven golf courses and four recreation centers offering a wide range of activities. Be as active as you like, choosing from a wide array of sports activities, clubs, arts and crafts, volunteer opportunities, and more. Or, just kick back, relax and enjoy retirement. Visit us soon! Discover why Sun City West sets a higher standard for active adult communities.